Later, in Burkina Faso, Jamie spent the night at a rustic guesthouse where he was given a candle as a light source. He accidentally fell asleep with the candle burning and woke up to a room filled with thick smoke from a candle fire. Luckily, he was able to put the fire out with his boxer shorts. 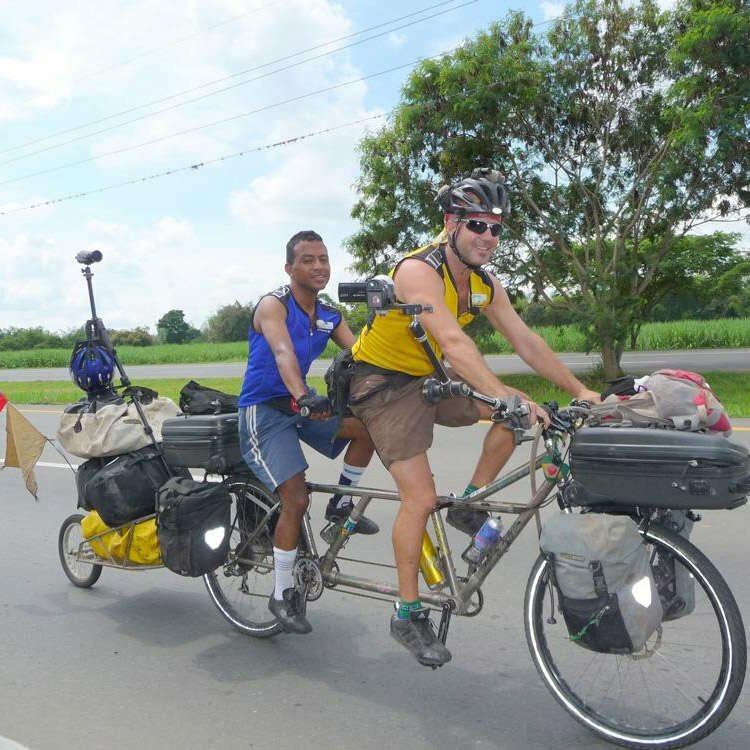 As he rode his bike onwards the next day the inspiration for the LuDela Perfect came to him. After helping Innocent realize his dream for the Good Hope School in Uganda, Jamie was inspired to use the patented LuDela innovation as a vehicle to illuminate the minds of more children around the world by giving the empowering gift of literacy. LuDela is a Delaware Public Benefit Corporation and pending B-Corp with the mission to deliver Better Light, Better Lives for our customers and the global community. For every innovative candle product sold LuDela donates a book to help bring libraries to underserved communities with their non-profit partner Books for Africa. 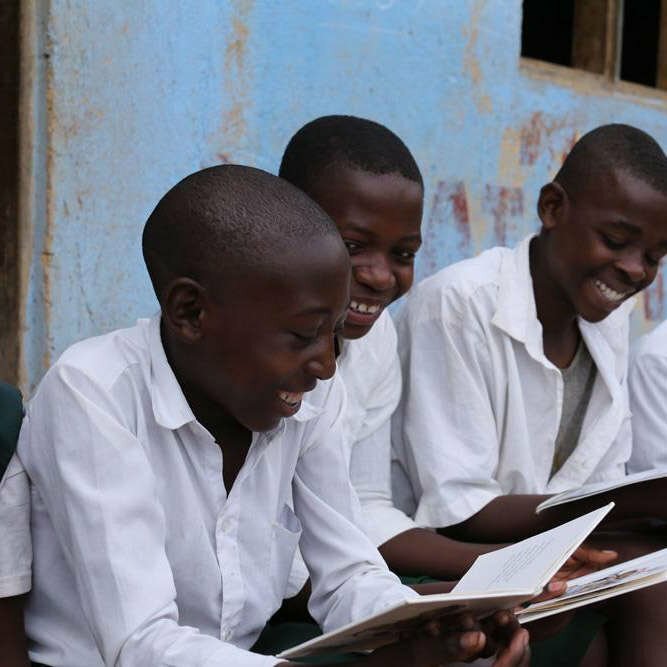 Every time a LuDela customer enjoys Better Light with LuDela’s products, they can enjoy the feeling of giving the incredibly empowering gift of literacy that helps deliver Better Lives to children in need. LuDela candles are the perfect gifts that keep on giving, to those who receive them and those in need who receive the gift of a library in their community. LuDela’s vision is to Illuminate the World by sparking a global literacy movement. Join us! 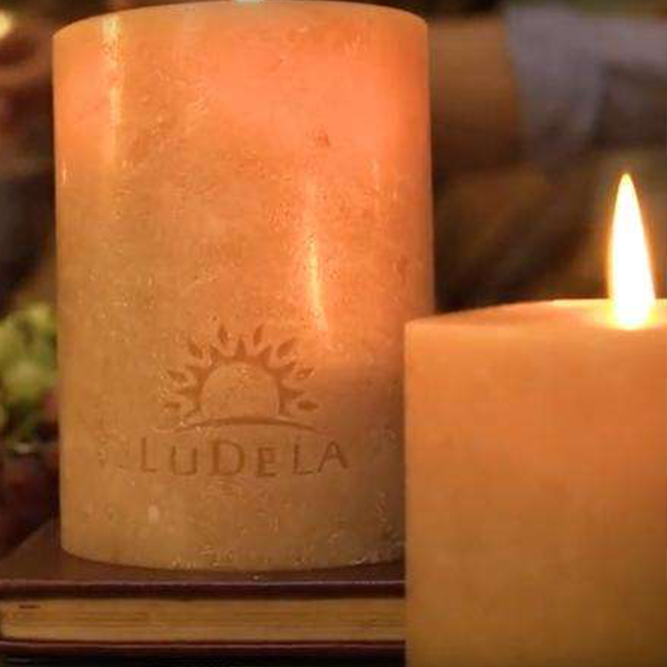 LuDela is like a light switch for natural real flame candlelight. 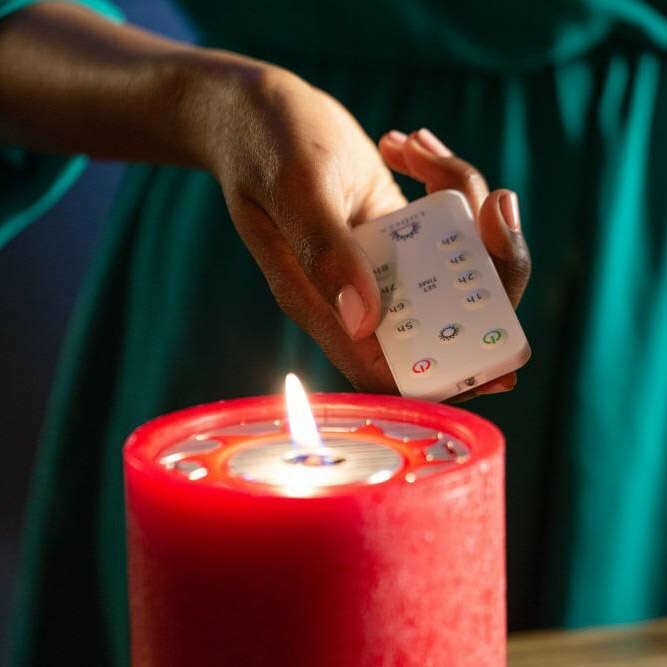 Now you can create the perfect ambiance for any occasion with the touch of a button and extinguish all your candles instantly as well. Relax and enjoy increased peace of mind with LuDela’s advanced safety features. LuDela’s Tilt-Extinguish extinguishes the flame on accidental falls while Timer Extinguish blows out your candles when you tell them to. LuDela’s Scent on Demand is the world’s first scented candle allowing you to choose the fragrance you want, when you want it. Flex-Décor allows you to change the color of your outer shell as the seasons change. Always keep your Perfect Pillar within sight when you have it burning. Extinguish when leaving a room or before going to sleep and look to be sure it went out. Never burn your Perfect Pillar on or near anything that can catch fire. Keep them away from furniture, drapes, bedding, carpets, books, paper, flammable decorations, etc. Never use anything other than a LuDela SunScent Ring in the metal pan around the flame. Keep your LuDela Pillars out of the reach of children and pets. Keep the top of the oil cartridge free of oil at all times. Immediately wipe up any oil spills. Always read and follow our use and safety instructions carefully. Keep LuDela Pillars away from drafts, vents, ceiling fans and air currents. This will help prevent overheating of the pan around the flame. Drafts can also blow nearby lightweight items into the flame where they could catch fire. Never touch or move a lit LuDela Pillar. Extinguish and allow it to cool for at least 3 minutes before moving. Never use a LuDela Pillar as a night light.